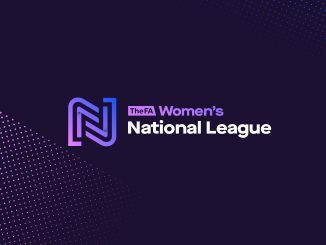 Chichester City go top of the Southern Premier with victory at MK Dons, while in the Northern Premier Derby County defeated local rivals Nottingham Forest in front of over 1,600 at Pride Park. 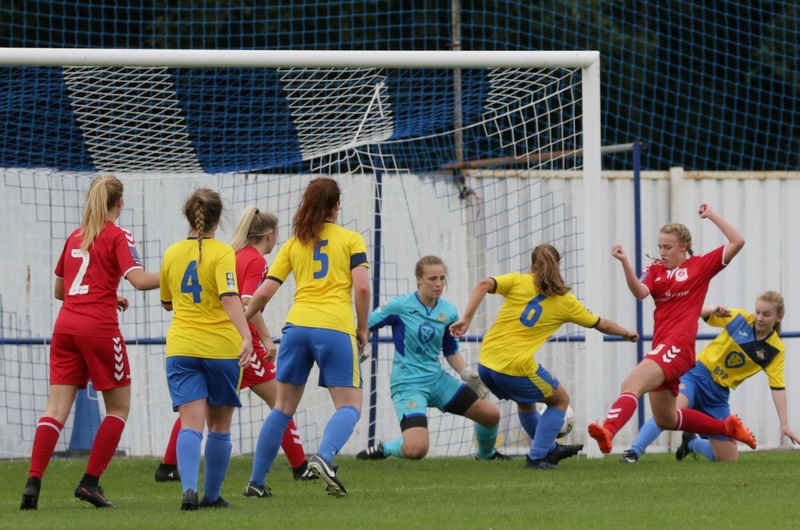 Leaders Stoke built a 3-0 lead over Guiseley but the Vixens pulled a couple back before Ashleigh Hayes made sure of the win, Faye McCoy earlier bagging a brace. The East Midlands derby between the Rams and Forest attracted well over 1,500 to Pride Park, where Amy Sims got the only goal for County in first-half added time. Huddersfield’s Charley Evans and Kate Mallin wiped out Sunderland’s interval advantage but Mollie Lambert got the Black Cats’ winner with her second. 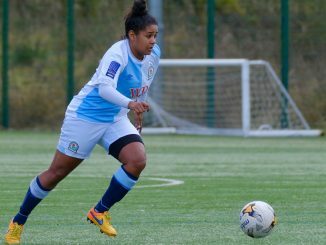 Blackburn made it back to back wins as Lynda Shepherd and Natasha Flint scored to see off Hull 2-0. Middlesbrough were 2-0 winners away to basement side Doncaster. Sheffield FC’s first points came at the expense of Bradford, Ellie White and Megan Tinsley on target. 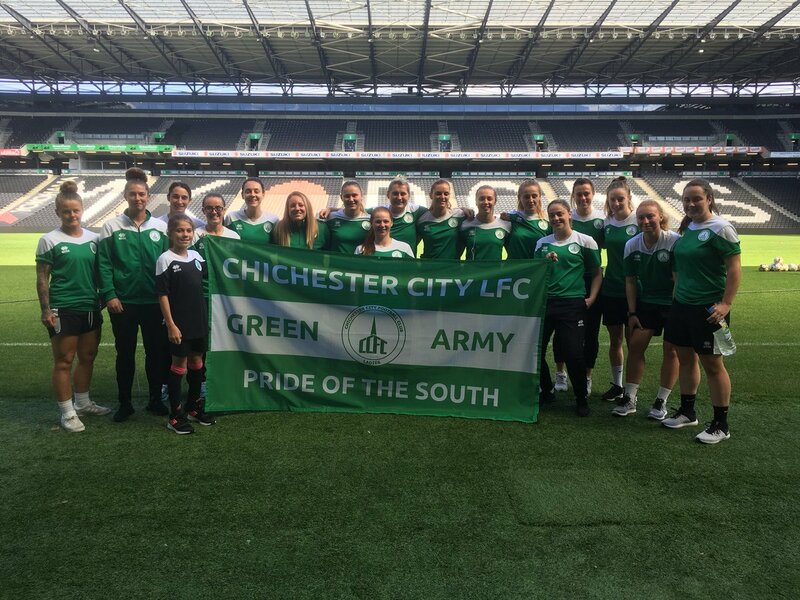 Chichester are new leaders following a 1-0 victory at MK Dons courtesy of a late Molly Clark effort. Loughborough lost their first points as C&K Basildon bagged their first in a 1-1 tie, Kate Lowder’s goal cancelled out by Madelyn Thomas. Coventry leapfrogged Portsmouth into third when defeating them 2-1 away, Jade Brook with the winner. Plymouth ran out 4-1 winners at Gillingham with four different scorers. Cardiff went one better against bottom side QPR with Cori Williams on target twice. Leaders Wolves won 3-1 at Birmingham & West Midlands where Lowri Walker, Jade Cross and Chloe Williams all scored in the first 25 minutes. Bedworth came from behind at the break to beat Steel City 2-1. Nettleham were 3-0 up at half time against Sporting Khalsa, goals from Tia Johnson, Abigail Ringrose and Ella Thompson-Moulding proving to be just enough in the end. Long Eaton are off the mark with the best of five goals at Solihull. TNS have their first point after a good 3-3 tie with West Brom. 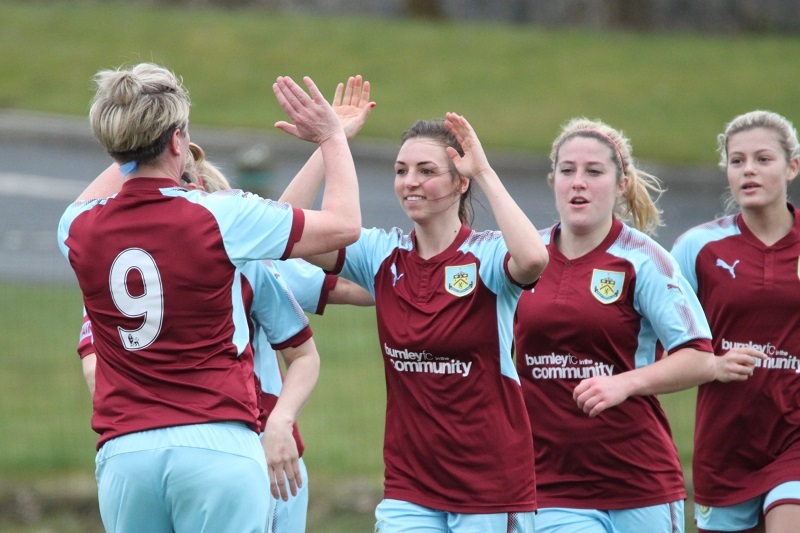 Burnley pulled off an amazing 3-0 win away at Liverpool Feds, Sara Greenhalgh with two and Evie Priestley the other. Brighouse are second after a 5-3 result against Norton, Charlotte Proud with a crucial brace before the visitors got a couple of late goals back. Chorley are also goal-difference off the top following a 2-1 success at Newcastle. Bolton won for the second successive Sunday at Barnsley, the only goal coming in the second half. Morecambe ran in four goals in the last dozen minutes to win 5-2 over Crewe. Crawley went top on goal-difference thanks to their 6-0 win at Norwich where Sian Heather scored twice. Billericay beat AFC Wimbledon by the only goal but lost top spot. Cambridge’s first defeat became Denham first win with a last-minute Rae Roberts decider. Ipswich retrieved a 3-0 interval deficit to rescue a point at home to Enfield. 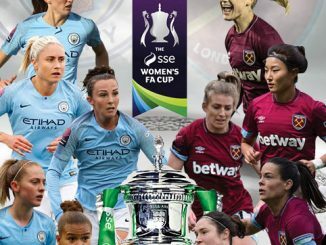 The visitors had a player sent off in the last minute and Amanda Crump’s corner went in off a defender to tie the match. Orient went third with a 2-0 result away to Stevenage, Lisa Fulgence with both. Actonians won the basement battle with Luton 3-0 to go ninth. Cheltenham are new leaders despite being held 2-2 at home by Buckland. 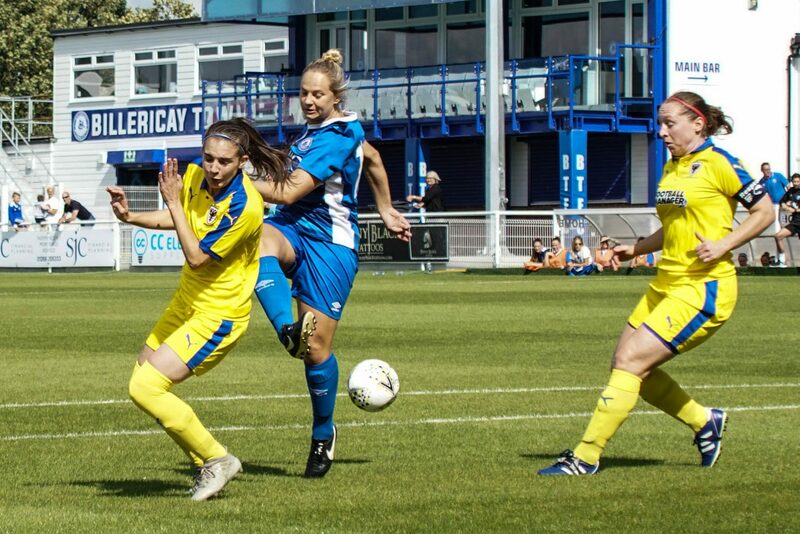 Annie Martin and Ella Hitchcox got Town’s goals but the Devon side claimed their first ever point at this level. An extraordinary second half saw Keynsham come from 2-1 down to avenge last week’s cup defeat to Larkhall by thrashing them 9-2, Kerry Bartlett getting a 20-minute hat-trick. 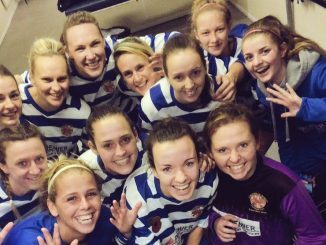 Chesham also had a big away win, 5-0 at Southampton Saints with two for Gemma Fraser. Swindon got going with a 2-1 victory over Poole thanks to a late penalty. 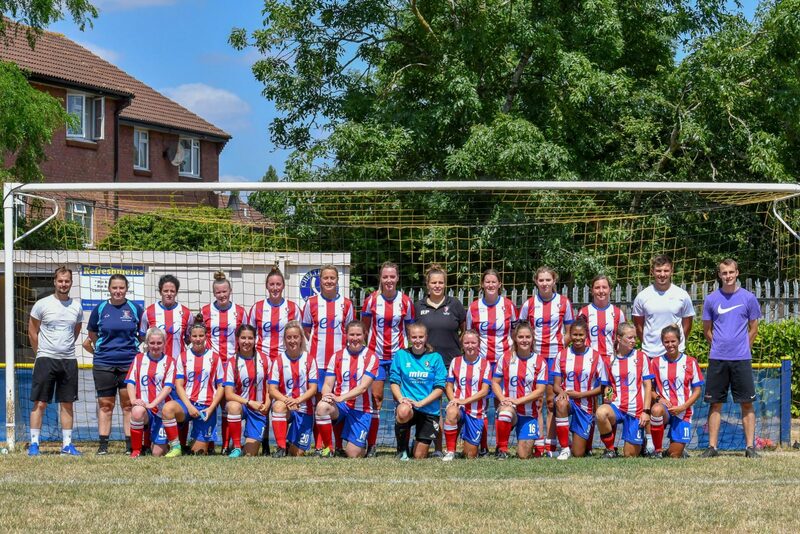 Brislington won with a 5-2 scoreline at Maidenhead, Paige Sawyer starring with a treble.